Spring is a time of new beginnings and fresh starts. 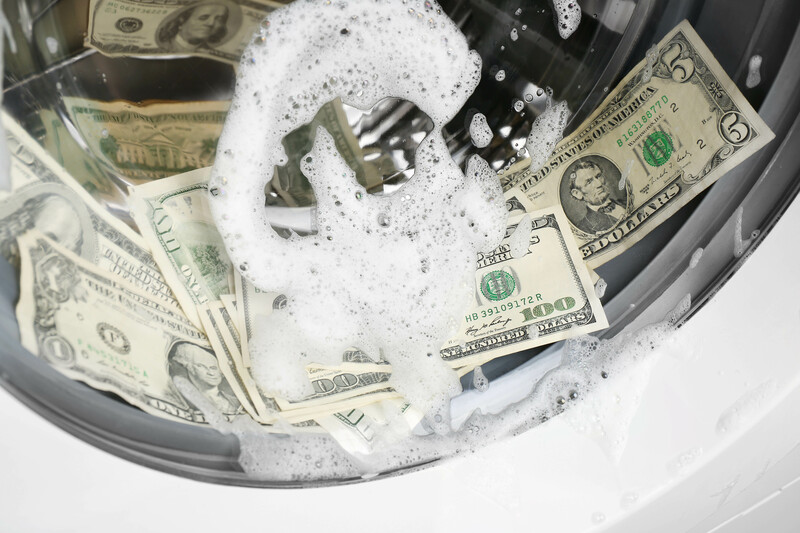 You already clean your house, but what about your finances? If you’re not sure how to get going, we’ve compiled some tips to help you start. A clean life starts with a clean environment. Do you have old bills and statements, tax records you no longer need, etc. junking up your drawers? Is it hard to find important documents that you actually need? Literally cleaning out your old finances will help you get motivated to do the same with the rest of your financial life as well. If you’re not sure which documents to keep and which to toss, take a look at this Dave Ramsey guide. Don’t stop your purge with physical documents. This is also a great time to cut out other miscellaneous clutter such as excess bills, statements and subscriptions. No longer watch cable TV? Cut out that bill. Too much junk? End that subscription box. Review any extra reoccurring expenses and stop any that you deem unnecessary. This is similar to step two. Review your spending habits and any necessary expenses such as cell phone bills and insurance packages. What was right for you when you signed up may no longer be the best option, so take a look at what you’re getting for your money and evaluate whether you need to make changes. For instance, if you’re paying for unlimited data each month but only use 4GB, now is a great time to change your phone plan and save money! You should be evaluating your budget annually since it will most likely need adjusting as your life and needs change. Take a look at your budget for last year and decide which parts to keep and which to reconsider. Then, make some new goals for the year. SMART goals (specific, measurable, attainable, realistic and time sensitive) will best set you up for success. But setting goals is only half the battle. The other half is monitoring your progress and sticking to those goals. MoneyCentral is a great place to see all of your accounts and transactions in one easy to use platform. You can also set up alerts and categorize your spending for a complete picture of your financial life. No one likes debt hanging over their head. Make a plan today to be debt free tomorrow. While it will save you money in the long run to pay off debts with the highest interest rate first, many people find it is more motivational to start with their smallest debts. Paying off a debt entirely is a great feeling and can help you snowball into success with others. Whatever strategy you choose, stick with it and your debt will shrink. Even if now might not seem like the right time, investing in your future retirement is very important. You should start as soon as possible… if you haven’t already. If you have various 401(k) accounts from different jobs, consolidate those into one account, such as an IRA. If you aren’t investing yet, consider starting with a mutual fund which is managed by professionals. If you are investing, take this opportunity to rebalance your portfolio. Finances can be tricky, but they’re vitally important to your overall well-being. 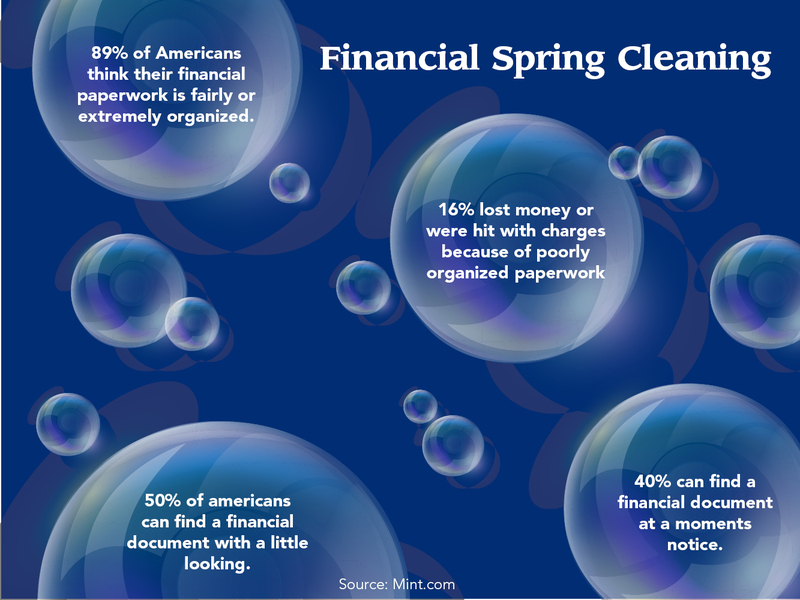 Taking this opportunity to do some “spring cleaning” will help you find new motivation and set you up for financial success for the rest of the year!